Published! Finally figured out textbroker. Managed to pick and accept an article. Wrote it (on organic chia seeds, no less) and submitted it. It was a bit annoying because the rules are so specific. Certain number of words, then keywords and then it gets angry if there are too many of the keyword… Can you tell I am a huge lover of rules? Anyhow I did follow all those lovely little instructions and Bob’s your uncle they accepted it. Now it is time to start looking at my nanowrime novel and work it into something useable… Since I am still listed as ‘recieved’ on Analog it may also be time to write another short story and try Asimov. I love a good sci-fi. Plus I owe one of my oldest and best(est! Hee hee) of friends a Christmas story. Yes! So much writing to do. Posted on January 11, 2014 by 1fuzzymonster. 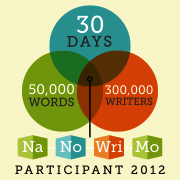 This entry was posted in Uncategorized and tagged doctor who, nano, nanowrimo, published, textbroker, writing. Bookmark the permalink.